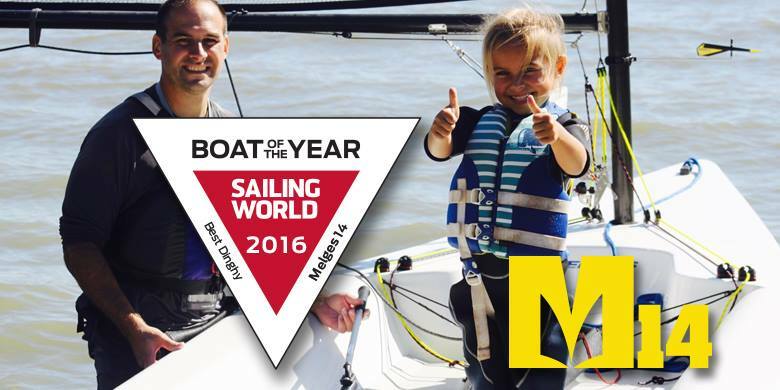 Andrew Seredick and daughter aboard his M14. 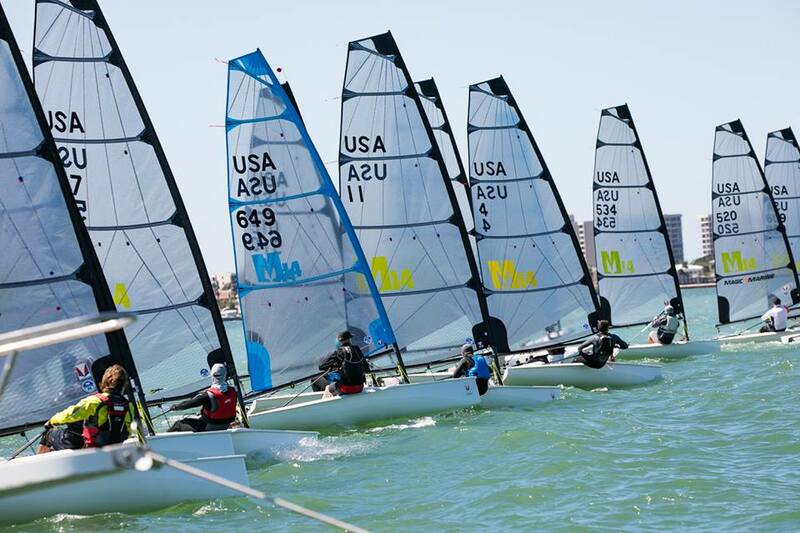 “I love the pure sailing fun the Melges 14 yields. It puts a huge smile on my face – hours can go by and I don’t even notice. 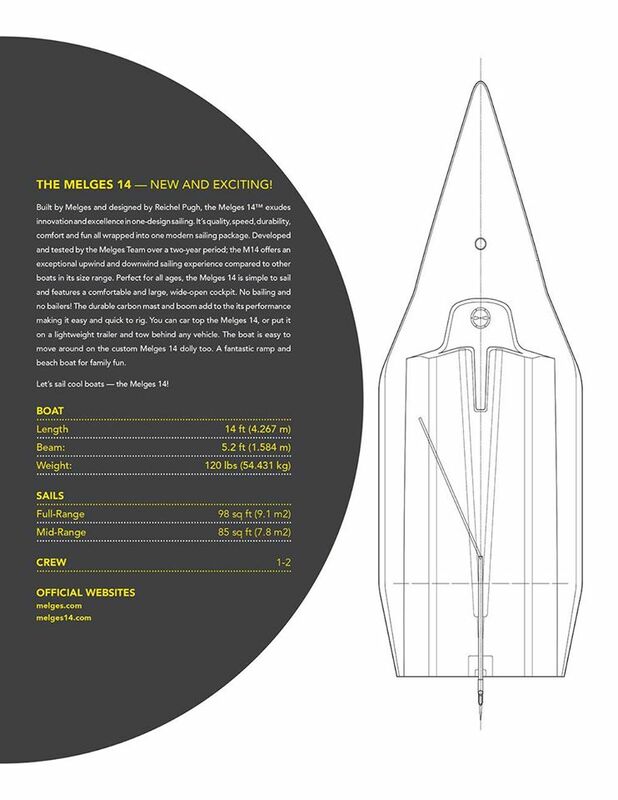 The Melges experience has been wonderful and a main driver for deciding on the Melges 14. I had been looking at UK based companies, and decided it would be best to go with a highly respected US company who stands by the quality of their product, going above and beyond making sure customers are happy with their investment. 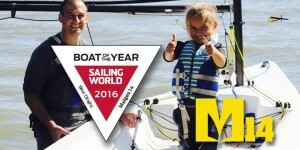 Includes a fully rigged Melges 14 with a Gold Sail and Mast Top. Sail Area: 98 square feet. 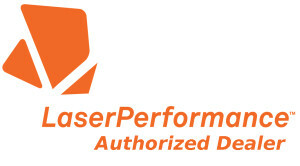 Big and fast, yet easy to de-power. 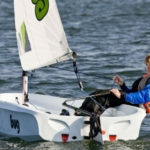 Includes a fully rigged Melges 14 with a Blue Sail and Mast Top. Sail Area: 85 square feet. Ideal for sailors ranging from 125 to 175 lbs. 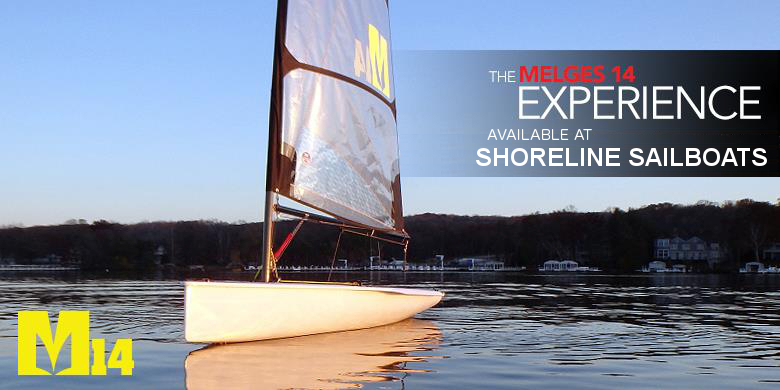 Includes a fully rigged Melges 14 with a Red Sail and Mast Top. Sail Area: 58 square feet. 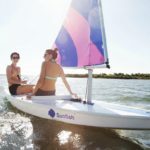 Ideal for sailors ranging from 75 to 125 lbs. 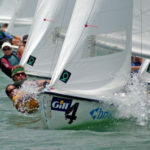 The Red Sail is a great way to get light sailors started in the Melges 14. 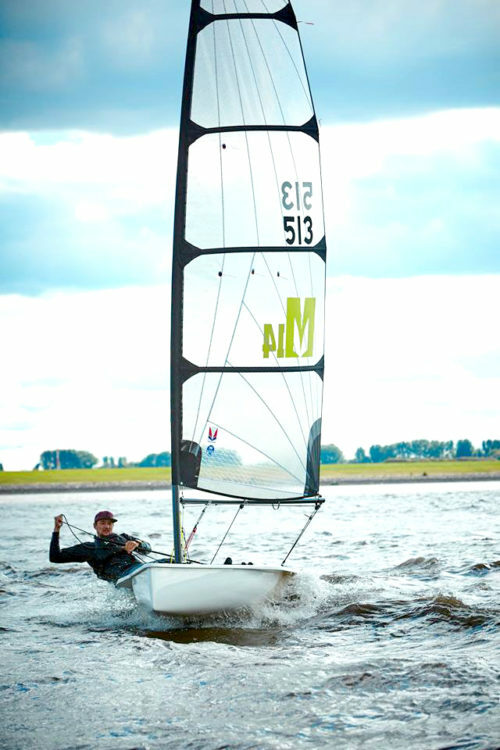 Watch the Melges 14 in action! 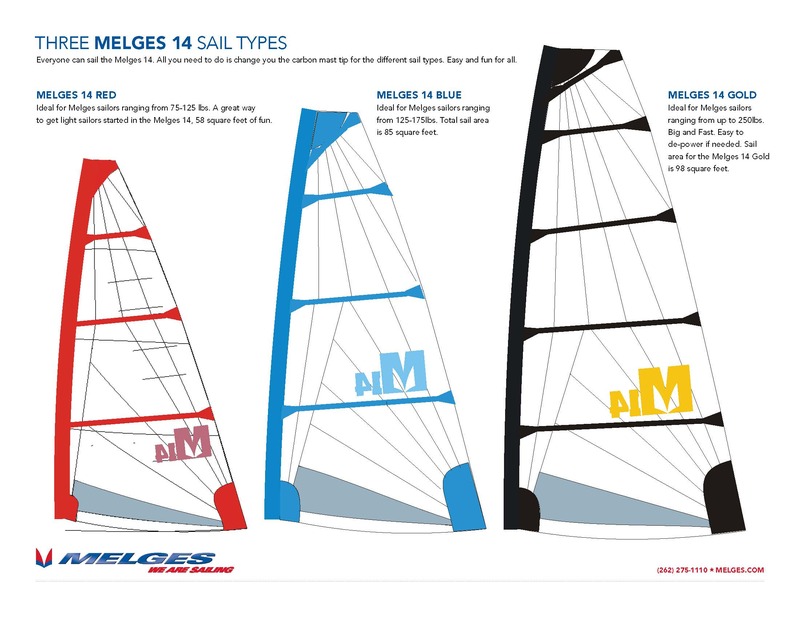 Melges 14 Midwinters – Highlight Reel from Melges Performance Sailboats on Vimeo. 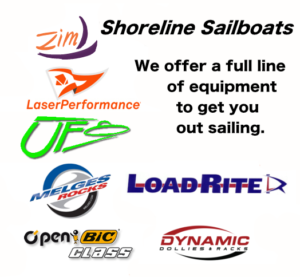 Use the contact form below or our Contact page to get in touch with Darren at Shoreline Sailboats to get more information or to order your Melges 14.